Citations are crucial to building a business’ web presence. They’re a topic we hammer home at Advice Local – you’re probably tired of hearing about it! If not, here’s a quick refresher course: a citation is any mention of a business’ information online or offline. These references or citations are found in local directory listings, review sites and in other places online, like blog posts, and offline, like newspapers and print magazines. The best local citations are detailed and accurate, containing the correct name, address and phone number (NAP) at the very minimum. If the business is lucky the citations link back to the business’ website. There are two primary types of citations – structured and unstructured. For example, you can find a structured citation on a directory site; it includes the business’ name, address and phone number. An unstructured citation is the business’ information on any other type of site like a blog post and most will not include the business’ address and phone number. If you’re a SEO-savvy business owner, local marketer or agency, you understand the importance of local citations. They can substantially improve placement in local search results. Therefore, you’re faced with an important decision: who should you trust to manage your local citations? This is a choice you need to make with all of the right facts. When you have a trusted company to create and manage a business’ local listings, you free up time to focus on other important aspects of the business. We won’t lie: handling local citation listings can be a painstaking process to do on your own. 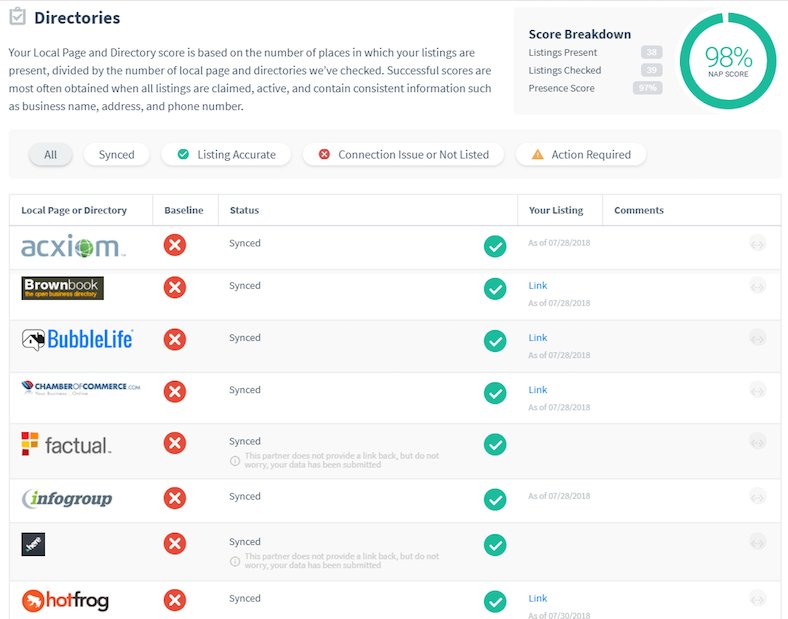 The task of removing duplicate listings, updating them with any changed information, and creating entirely new listings is a large undertaking. If you’re in the market for a local citation listing service, what criteria should you keep in mind? Well, we’ll tell you. Here are the top questions to ask during your search. What Locations Does the Citation Service Target? At Advice Local, we operate out of McKinney, Texas, but we can handle any local citation listings across the United States and Canada. If your company is based abroad, you’ll need to find a local citation listing service that submits to directories in the target country or countries. According to BrightLocal, the United States is more structured than other countries because we have our four main data aggregators that submit to thousands of websites and directories simultaneously. Of those four, Factual is the only aggregator that submits beyond the U.S. and Canada. Submission to data aggregators should be one of the key criteria you look for in a local citation listing service! Let’s delve more into why data aggregators are important. Do They Use Data Aggregators? We bring up data aggregators frequently because, in this digital day and age, a business won’t reach its full potential unless its information is being properly circulated. Data aggregators offer unmatched visibility. 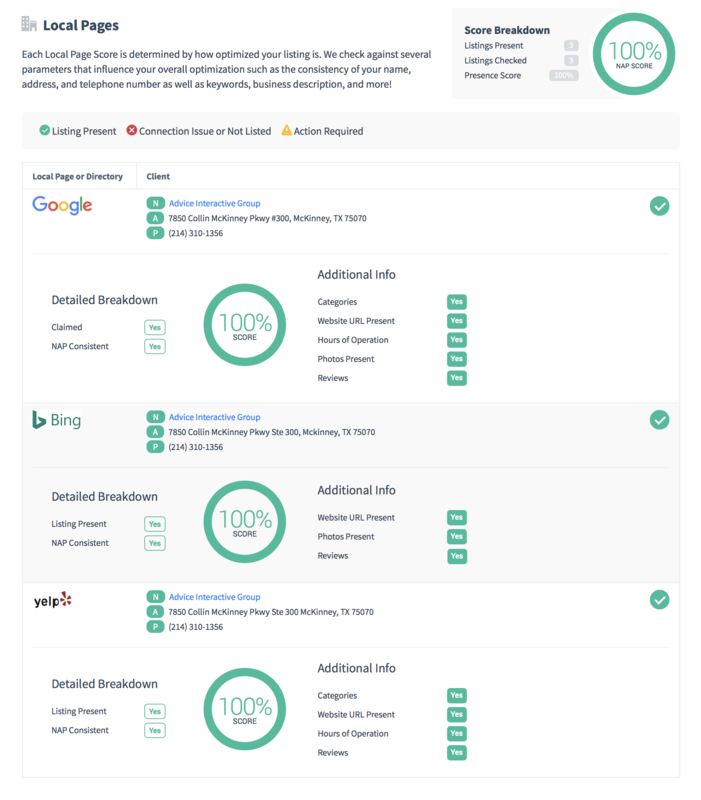 Neustar/Localeze can instantly submit data to 90 search platforms, mobile apps, directories, navigation services, and other sites. Acxiom is more locally focused, distributing submitted data to 75 local search companies on top of search engines and distribution partners. Infogroup provides businesses with the opportunity to go above and beyond with their listings, sending information further to navigation and mobile industries, too. Lastly, Factual is the most location-minded directory. It’s available in more than 50 countries and submits to mobile systems as soon as any information changes. Currently, Factual maintains data for 100 million local businesses. All of the data aggregators prioritize correct data and go to extensive lengths to verify listings. Utilizing them for local citation listings is the way to go. If you’re looking at listing management company that doesn’t utilize data aggregators, look for a better service. 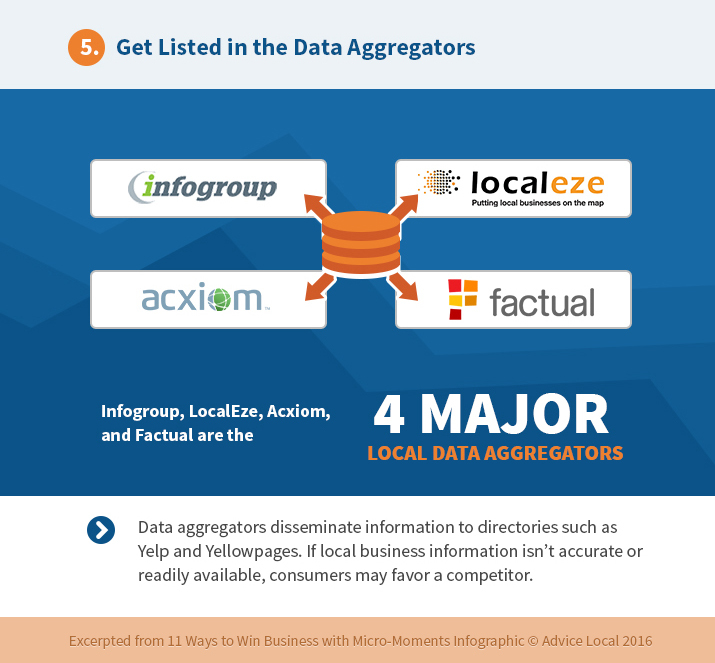 Note: we always submit data to aggregators at Advice Local! If you’re hiring a local citation listing service for yourself or your client, make sure they’re worth your time. With the many options to choose from, it’s important to make sure they submit to the most important directories beyond Google My Business. A few include SuperPages, D&B and MerchantCircle. A vertical listing is an industry-specific directory, serving the medical field, attorneys, home repair professionals, and even the food industry. It’s a niche, and the local citation listing service you select should be familiar with any vertical directories that could benefit the business. Examples of vertical-specific directories include eLocal Doctors, FindLaw and Fixr. Geo-specific directories are relegated to a geographical region. For example, if the business in question is based in the Dallas, Texas area, circulating business information through a hyperlocal directory like BubbleLife will gain visibility for DFW residents. 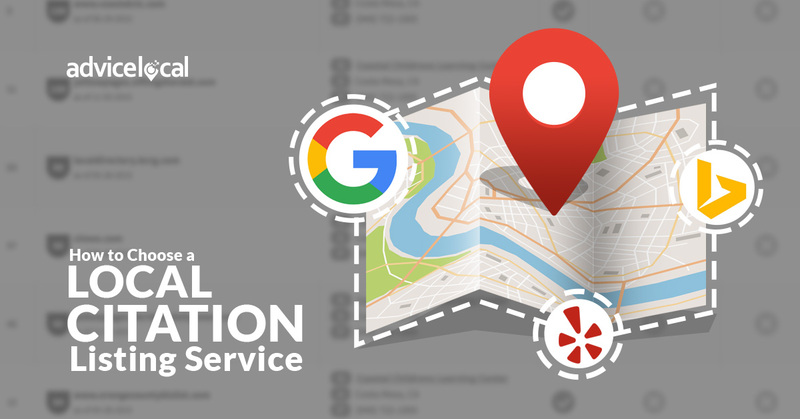 Additionally, any local citation listing service you choose should comprehensively submit to GPS in-dash navigation solutions and mapping apps, too. If a potential consumer can’t find the business’ storefront, they’ll move onto the next best option. Who wants to lose that business? How Do They Report on the Business’ Local Citation Listings? This question is one of the most important things to consider when choosing a service provider for local citation listings. How do they report the progress of the directories that the business is successfully listed in? At Advice Local, we have multiple methods of reporting listing statuses to our clients and partners. Through our partner dashboard a business’ overall online visibility, listing status and visibility for each of the local pages (Google, Bing, Yelp) is viewable 24/7 through the Progress Report. Additionally, our partners have the option to setup automated reporting to be delivered to them or their clients monthly. When it comes to reporting, transparency should be a priority from the get-go. Clients should always know exactly what’s going on with their local listings. Because Advice Local performs API submissions, any change in information can be sent out immediately. We always keep our eyes peeled for incorrect listings, and we handle any problems quickly to prevent potential consumers from experiencing any confusion. Since we’ve presented the main things you should look for in a local citation listing service, we should probably mention that we excel at all of them! 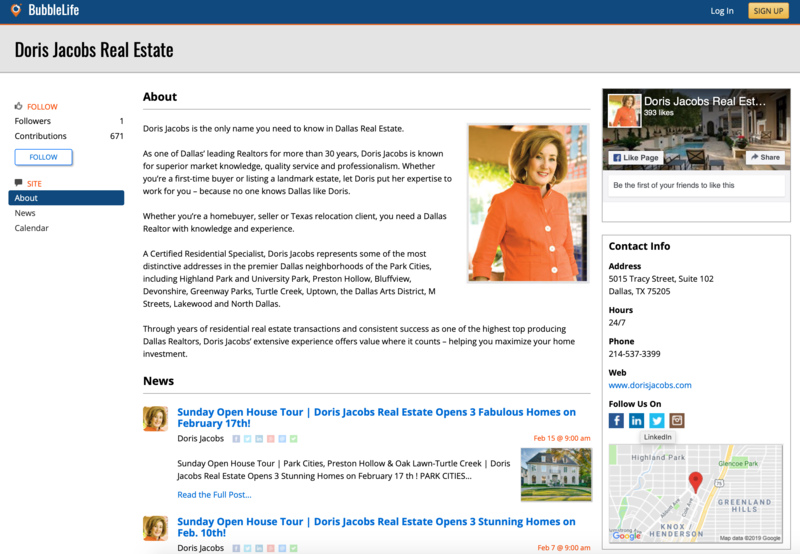 We are entrusted with hundreds of thousands of listings daily. They’re monitored closely to keep our clients and partners always informed. Interested in the kinds of listing management we can offer you? Request a demo today.